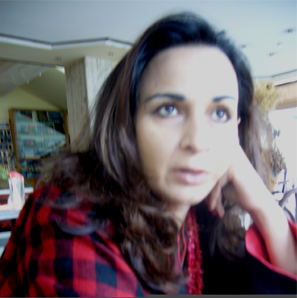 Sherry Rehman, a Member of Pakistan’s National Assembly, has always gone against the grain. As a journalist and editor, she was responsible for several investigations into corruption. Last November, as a Member of Parliament (MP), she brought in a Bill in Parliament seeking an end to the death penalty under the blasphemy law, which had raised the hackles of religious extremists in her country. Finally, with the government succumbing to pressure from this section, the Bill was dropped. In an interview with Pamela Philipose, Rehman confines herself to the theme of women in Pakistan’s politics and explains how quotas for women in Parliament have decisively changed political discourse in her country. Q: I would like to explore with you the experience of being a woman politician in Pakistan today. How did you first come into politics? A: I can tell you that initially I was very averse to joining mainstream politics although I was very political. I was really radicalized during the Zia-ul-Haq years, when he brought in some very severe anti-women laws. We felt it incumbent upon ourselves at that point to make our voices heard and to dissent publicly. We were always in some police lock-up or other in those days! That struggle, which started as a woman’s movement, went on to become a movement for human rights. During the street mobilization in those days, I had my first encounter with political parties. Clearly civil society organizations couldn’t bring to the streets the kind of energy and mass support that would catch the attention of a military dictator. So we made common cause with Benazir Bhutto’s People’s Party of Pakistan, because it was also committed to resisting General Zia-ul-Haq. Q: So was that the moment when you recognized the importance of mainstream power? A: I immediately sensed the strength of organized political parties. They could bus in people – especially women – at short notice. We would just have to phone and tell them to put their money where their mouth was, and they would do it for us. So when Benazir Bhutto asked me later – while I was taking a sabbatical from journalism to research a book – to get registered as a member of her political party and get involved, I agreed. That was in 2001. I have been in mainstream politics ever since. Q: Now that Pakistan has introduced quotas for women in mainstream politics, what has been the experience? A: At first the reaction of the political system to the increased numbers of women coming directly into the political mainstream was adverse. They were perceived as a threat to a traditionally conservative domain. What has happened since is that because women MPs have worked hard and made their mark, there is now a grudging respect for the work they have been able to do. But still I think there is a long way to go if women are to gain the kind of equality, space and momentum – as legislators, political activists, as councilors – that they need. There is a huge gap between the work they do and the compensation they receive by way of respect and support. Q: What is the quota system in Pakistan like? How does it work? A: It works through closed party lists, which is a bit like proportional representation. The parties nominate their list of women, which is in proportion to the party’s strength in Parliament. If a party has been able to get say 60 members into the National Assembly, they can get, say, 10 women in. These reservations began in 2002, and we are now in the second term of women having come in through quotas. The rest of the assembly gets elected through a general election, with quotas for minorities too. What this has done is that it has raised the question about whether the ‘first past the post’ is the optimal system, or whether a model like the Bundestag works better, where you have half the seats through proportional representation, and half through the ‘first past the post’ principle. Q: But have women been able to make a difference? A: I would say it has revolutionized the mainstream discourse in both Houses – less in the Senate, more so in the National Assembly. By giving the women a critical mass in both Houses – it is around 21 per cent right now in the National Assembly – a great deal of change has been ushered in. They have been able to make an indelible mark, not just on the mainstream political discourse, but even through law making. While they may not have been successful in getting many laws passed, they have been able to tip the balance of the scale on issues of social interest. What is happening now is that even if you don’t succeed in making a law, by introducing it you have brought new debate into the House. Women have used the instrument of legislation – whether it is a private member’s bill, a calling attention notice, or whatever – to influence the nature of the debate and draw attention to gender concerns, although they do not restrict themselves to women’s issues only. However I, as a woman MP who has always had a role in the women’s movement, feel that it is important not to roll up the ladder when you go in. I feel I need to stay the course on women’s issues, even as I am involved in mainstream concerns, whatever they may be. I have faced a lot of mainstream resistance to these concerns, but we have also met with success. For instance, when we presented and got passed the ‘Protection of Women in the Workplace Bill’, we were successful partly because I happened to be a cabinet minister when I moved it and partly because I got all the stake holders together, held meetings across party lines and created a buy-in for the bill that cut through party divides. I think it is very important to involve men in lobbying for the very issues that most affect women’s lives. We must not leave them out because they could help us both in the public spaces and in the domestic arenas. Q: Since you obviously wielded significant power as a minister in the cabinet, what made you give up that position after a year? A: As a minister, clearly, parts of my responsibilities had proved enriching. You do know the power of government to bring about change and there can be no replacing that. But I think you have to also be really very clear about the choices before you. I constantly hear people say they have no choice. But I believe there are always choices. You may have to pay a price for making that choice, but there is always a choice. Being a minister for me was a huge opportunity to see things from the inside. I felt enriched because I felt we have been able to achieve some of the goals we had committed ourselves to, as a political movement and party. At the same time, at some point I realized being a minister was no longer viable for me unless I could bring in significant change. There is always a performance curve in every government. When the Cabinet was expanded hugely I was left only with the portfolio of information – something that to my mind does not require a full ministry – and it seemed a huge waste of time. If you run around with a flag on your car and occupy your whole time performing protocol duties but are not able to deliver very much, what good is it? So I made my choice and resigned from ministership. Now I am just an MP.